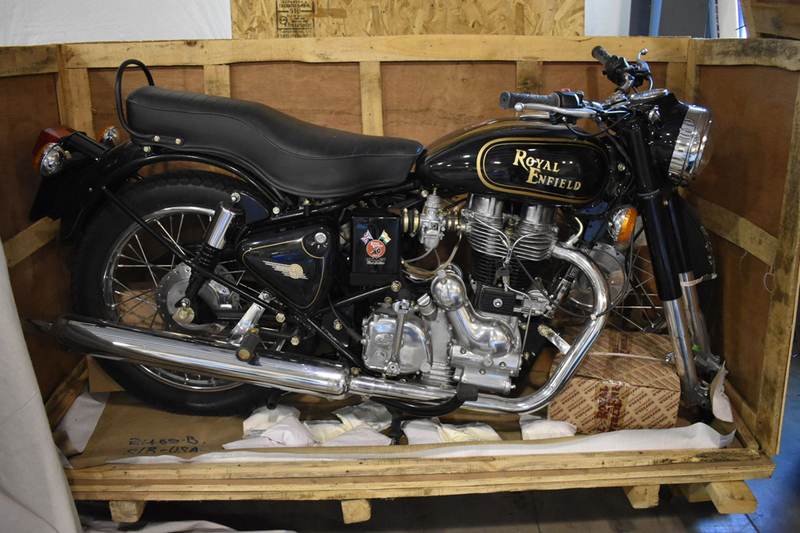 The historic last Iron Barrel Royal Enfield Bullet is for sale on eBay as Kevin Mahoney, former U.S. distributor for Royal Enfield, moves the Classic Motorworks parts and accessories business to Royal Enfield of Fort Worth, Texas. 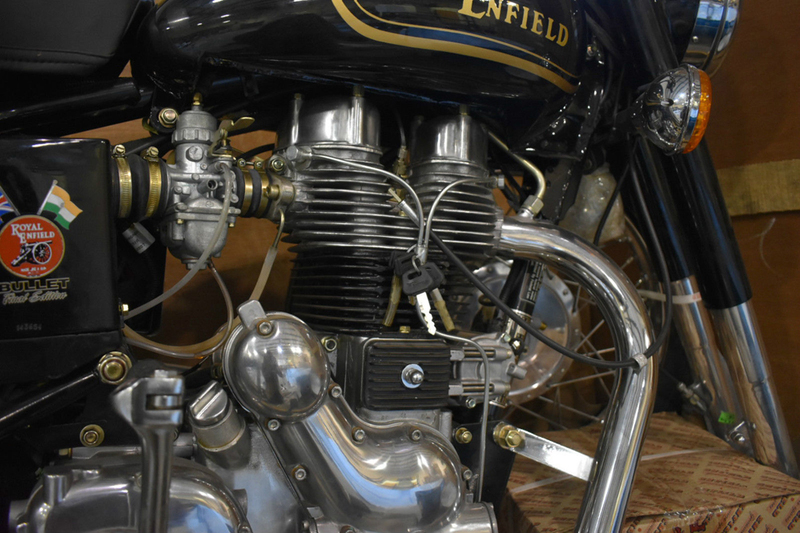 Classic Motorworks will work with Royal Enfield of Fort Worth, the largest Royal Enfield dealer in North America. Classic Motorworks has been the largest U.S. supplier of parts and accessories for Royal Enfield. It was based in Faribault, Minn. In his eBay ad, Kevin explains the importance of the last Iron Barrel Bullet, and how he came to own it. The Iron Barrel motor so familiar in Royal Enfield's long history. "From 1999 'til 2015 I was the exclusive importer and distributor for Royal Enfield in the U.S.A. 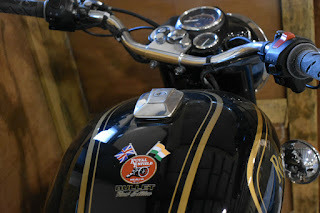 I knew that production of the iconic 500cc Bullet Iron Barrel was coming to an end and I called in a favor and arranged to purchase the last one off the line. The "Final Edition" models carried special graphics. "The nickname 'Iron Barrel' comes from the construction of the engine, which has a cast iron cylinder barrel with a steel liner." Kevin notes that the motorcycle will come to its buyer in the packing crate. If the new owner intends to use it he will have to put on the front fender and wheel and do his own "dealer prep." This one is for history: The final Iron Barrel VIN number! The "Last Iron Barrel" bears the VIN number ME3FSV2258C521489. 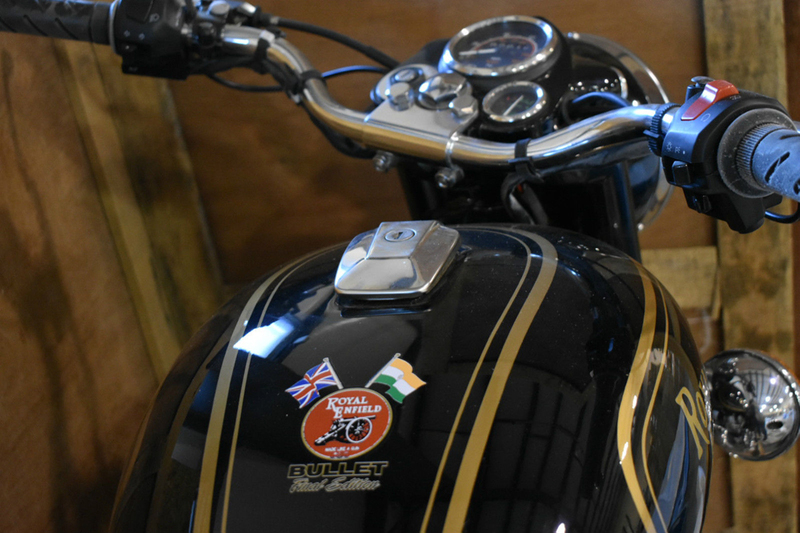 The Classic Motorworks store will be revamped under the Royal Enfield of Fort Worth banner, according to the press release. 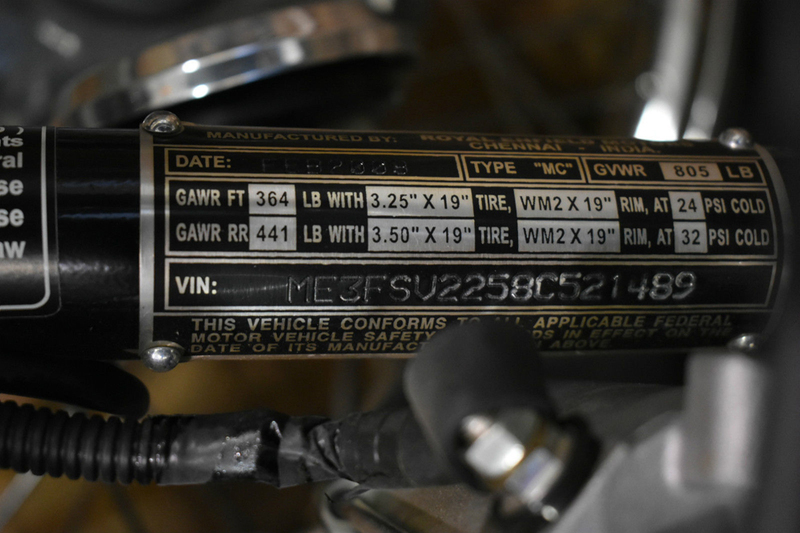 New orders and inquiries about parts should go to Royal Enfield of Fort Worth at 888-415-8986. 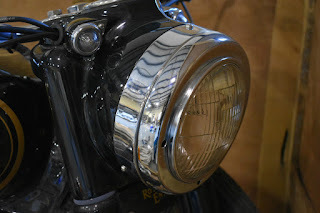 The unmistakable nacelle of the long-lived Royal Enfield Bullet. In the press release Michel Baker, the owner of Royal Enfield Fort Worth, said "that with both companies under one roof, customers will have access to older Royal Enfield parts and accessories including vintage models as well as parts and accessories for current and future Royal Enfield models." Classic Motorworks will continue to be the U.S. supplier of Cozy sidecars, and the popular Classic Motorworks Community Forum will continue to be supported on line, the press release said.